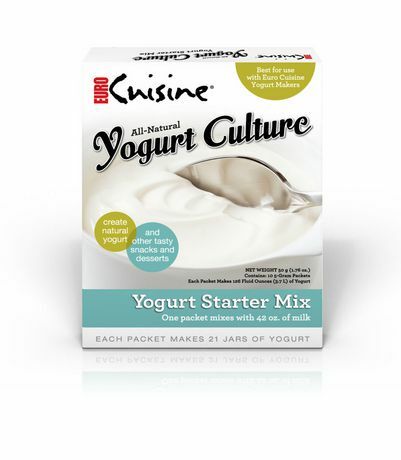 Create your own healthful yogurt at home with the Yogurt Starter from Euro Cuisine! Each box contains TEN 5-gram packets and instructions. 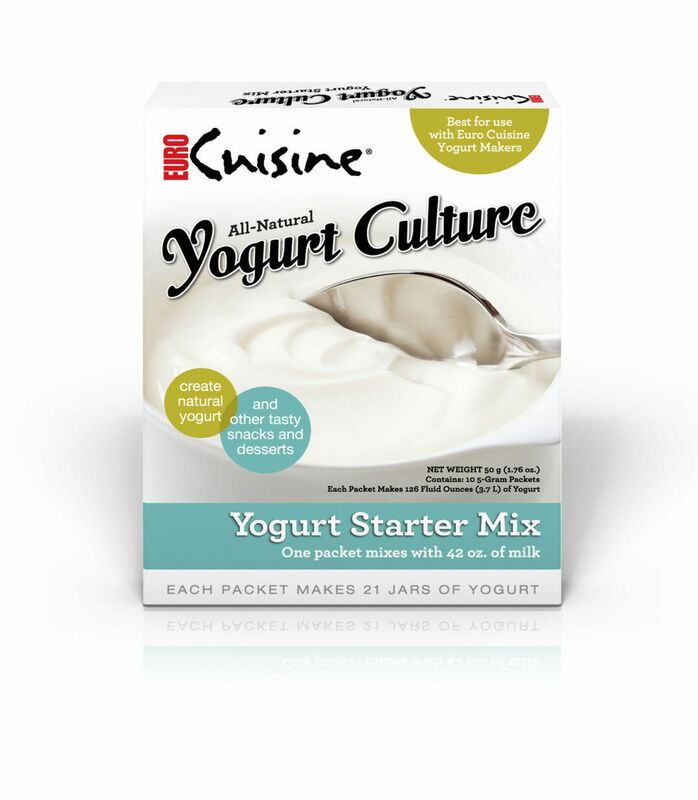 The Euro Cuisine All Natural Yogurt Starters are precisely balanced to make smooth, creamy and great-tasting yogurt every time!